Testing Scores Why Reading Instruction Must Be Addressed First! Septtember 23, 2010 In response to the Dothan Eagle Article written by Jim Cook on September 22 titled "Progress"
I went to the website you cited and looked at the PARCA scores. Looks like the school system has gotten themselves a brand new Music Man. How can one compare apples to oranges and expect to know what they are looking at? The National Assessment of Educational Progress is a nationally administered test that apparently shows that over seventy percent of Dothan 4th grade students score only basic or below basic in Math and Reading. What is this green cell business? Another way to obscure facts and demand more money? Once again we shall blame the socioeconomic factors for the poor scores which enables white parents (who are the power structure) to blame the Black and poor students for the poor showing of the schools. If it isn’t affecting their child we’ll continue trusting those in control. The methods that best help the black and poor students are those used every day in the private schools as proven by Project Follow Through, a billion dollar project conducted right after Head Start began, that is continually ignored by Progressive educators determined to impose their agenda on the schools. But as long as they can get the newspaper to report their PR as they do every year on how much they have improved, things will never change. Why not tell parents that according to the charts on that website, it would appear that only a few more than 25 percent of Dothan City 4th grade students score in the proficient range on Math and Reading according to the National Assessment of Educational Progress while this PARCA test deems that good enough to call it over 50 percent Level IV. It is all in the sell. Progress. I only wish. The only progress is the fancy Promethean board featured on the front page of the Eagle that cost lots of money and yet…has anyone determined that it is more effective than a good teacher with piece of chalk and a black board in a portable classroom (like I paid for my children to get at Northside Methodist years ago and with which education 2 now have masters degrees and one an Engineering degree)? I say let’s say we won in Afghanistan and Iraq and leave. By my way of judging success we’ve won. Just as much as Dothan City Schools has won the battle of their failing schools. Is anyone besides me upset with the masterful job of dissembling the public schools are participating in with the interpretation of these scores? From my reading of this chart that I copied from the website cited by the Dothan Eagle: http://parca.samford.edu/dothan.html it looks to me that of the Dothan students taking the NAEP (National Assessment of Educational Progress) over 70% score basic or below basic levels in Reading and Math. Since no one really has clue what the PARCA test is or what being “in the green” actually means (except for those folks walking away from Dothan “in the green”), one must wonder why the NAEP scores are never mentioned. Today, more discussion in the Eagle focuses on blaming the socioeconomically disadvantaged for these scores. In 1992 a group of concerned parents brought John Winston, who had adopted the Spalding Writing Road to Reading (a reading, writing, and spelling program) to his 98% minority elementary school in Natchitoches, Mississippi which served 3 housing projects. This shift in curriculum to direct instruction with an effective curriculum brought the school from the 25th to the 80th percentile in reading scores in the first grade in one year and decreased the number of "dyslexic" children from 40 to 1. Our school board arrogantly refused to consider the program and, listening to their “experts,” went instead with Whole Language. The Dothan Eagle should hold them to account for their decisions. This is the result. The PARCA people, with their creative eco friendly green score sheet for performance, want to blame the low scores on those children. I submit that it is the curriculum that is condemning those children to the low socioeconomic conditions they choose to blame. By the way, how much does a Promethean Board cost? What was the cost of educating the teacher to use such a board? How much is PARCA being paid? Did you know it would have cost about $100 per teacher to train them with the Spalding Method and we would have seen the results John Winston saw with the population the PARCA folks are blaming for the system’s poor performance. But, the beat will go on and we’ll all be real “proud” of our schools because they are quite effective with their propaganda. I wonder what part of this Mr. Cook doesn't get. Note: There are good teachers throughout our school system who would willingly use the methods that work, if only the administration were not so intent about being "innovative" and trying to earn points with their colleagues in the education establishment. The problems begin in the colleges of education with those who produced the problems now educating the teachers who will continue their example. The scary part about the government's current thrust for a common core curriculum is that it undermines local control of education and therefore our own community cannot return to those methods that produced schools that were the glory of the state. It used to really mean something to say you came from Dothan City Schools because our schools were the model for excellence. That was when Faye Evans and those before her headed the school board and the bylaws required sequential education. Our most recent school boards have gotten an "expert" to rewrite the bylaws and now the requirement is thematic. This is a complete shift in the philosophy of education. 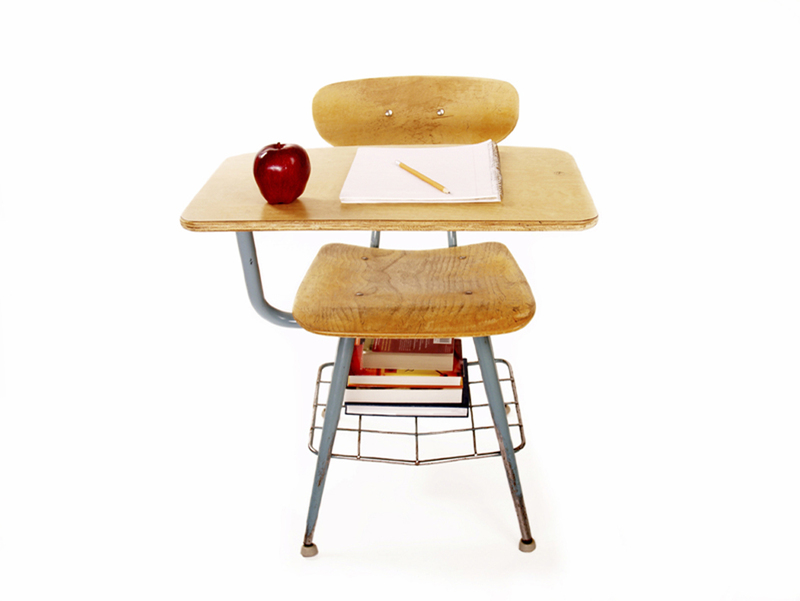 Visit Providence or Northside Methodist and you will see traditional education. It isn't the socioeconomic condition of a child. It is the curriculum. More on this in other articles on this website. In 2007-8 in the 5th grade 44 percent of students met or exceeded academic content standards in grammar and usage. In the 10th grade 35.71 percent of children met or exceeded the academic content standards and only 6.41 exceeded the academic content standards in grammar and usage...which means that about 58 % of Dothan 10th graders did not meet the academic content standards in grammar and usage according to the Alabama Direct Assessment of Writing. What is being taught instead? Do they conjugate verbs, decline nouns, diagram sentences, learn spelling words and parts of speech? Or do they work together in group on "projects"? 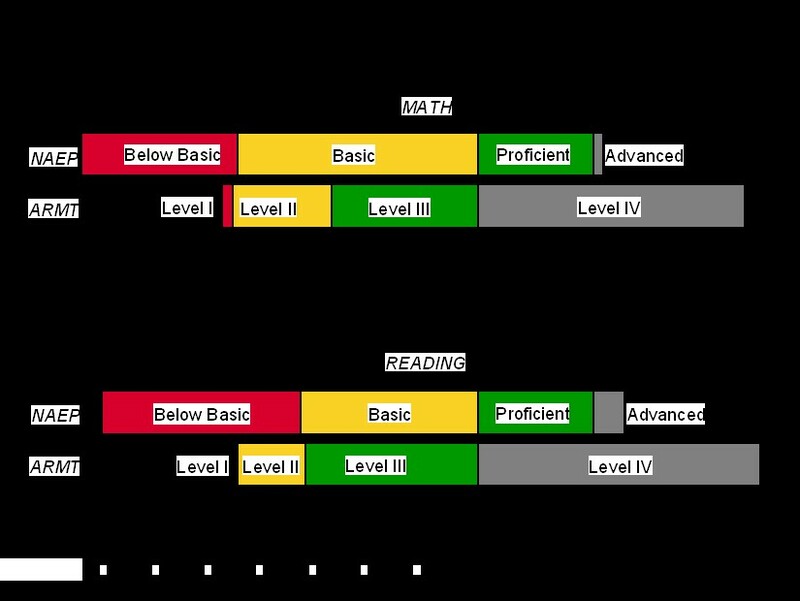 Since they have changed the SAT to the Sat-10, it is difficult to compare the data on reading now. I actually could not find a discrete reading score on the Alabama State Department of Education website now in 2008.